U.S. Army Staff Sergeant Mario Pinilla and his 2-year old daughter Sophia will soon be moving into a newly- built, mortgage-free home in the Centex community of Magnolia Park in Riverview. More than 100 people were on hand to view his reaction when the PulteGroup made the surprise announcement to him in early April. The gift is part of PulteGroup’s Built to Honor program where 20 homes will be built for wounded veterans and their families throughout the country. The project was completed in partnership with Operation FINALLY HOME. 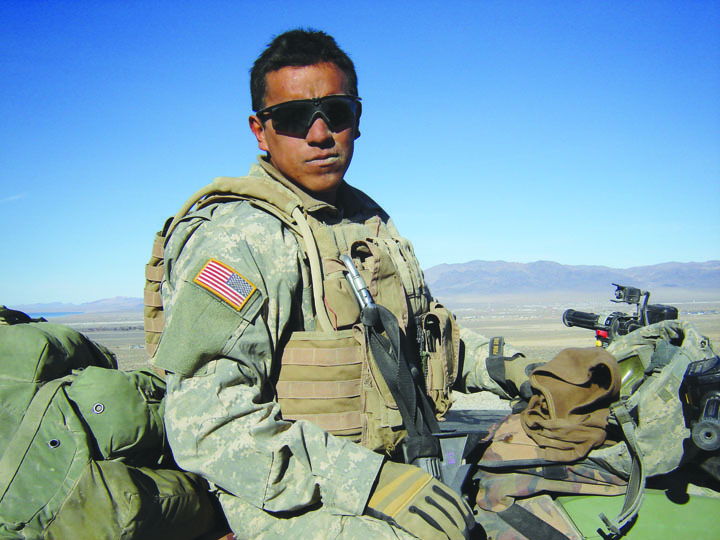 Born and raised in Bogota, Columbia, Staff Sergeant Mario Pinilla moved to Queens, N.Y. at age 18. The events of September 11, 2001 compelled him to enlist in the U.S. Army in early 2002, and in 2005 he joined the ranks of their Special Forces. Since then, he has served in Afghanistan, Columbia, England and Mexico. In 2008, he was injured as he rescued a friend and fellow soldier from enemy fire. He has since recovered and served two additional tours in Afghanistan. Pinilla has received several commendations, including two Purple Hearts, a Silver Star and two Bronze Stars. “Mario Pinilla is a testament to courage, tenacity and valor, and we hope that this home will help ease his struggles and provide him and his daughter, Sophia, with security and peace of mind as they move to the Tampa area,” said Peter Keane, PulteGroup Division President in North Florida who builds homes under the Centex, Pulte Homes and Del Webb brands. PulteGroup and local contractors, vendors and housing partners are donating labor and materials for the new 2,162+ sq. ft. home, featuring four bedrooms and two baths. PulteGroup will work with the family to customize the home and address any unique needs so they can move into the single-family home this summer. PulteGroup representative Valerie Dolenga said that Magnolia Park was the community selected for the home due to its location near a VA Hospital where Pinilla can continue treatment and rehab. “We feel wounded service members like Pinilla have paid for their homes in full on the battle field. It is our responsibility to ensure they get them,” said Rusty Carroll, Executive Director of Operation FINALLY HOME. For more information visit pultegroup inc.com or www.operationfinallyhome.org.